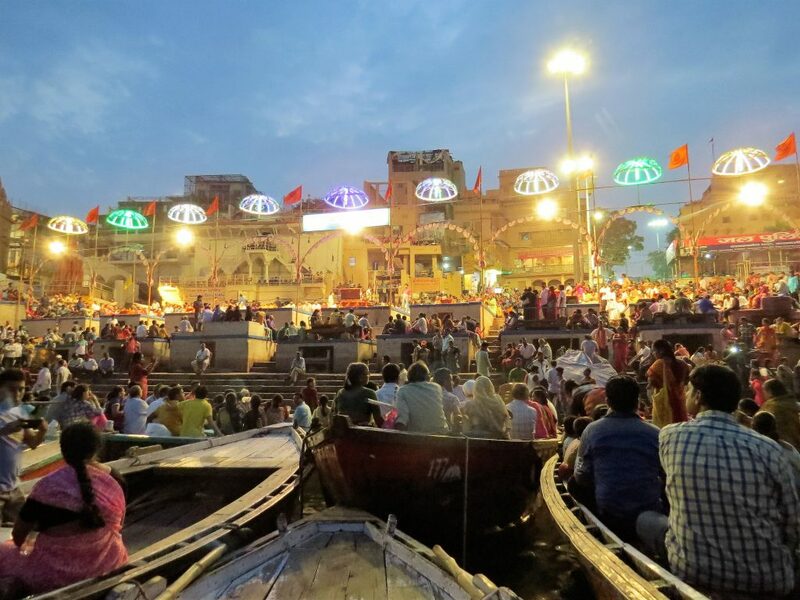 A visit to Varanasi, also known as Benaras, Benares, or as Kashi (meaning ‘resplendent with light’), is an experience unlike any other. This is the epitome of a holy city, inundated with religious pilgrims and sacred cows, yet it is also a city firmly grounded in the commerce and reality of day-to-day existence. Spiritually enlightening and fantastically photogenic, Varanasi is at its brilliant best by the ghats, the long stretch of steps leading down to the water on the western bank of the Ganges. 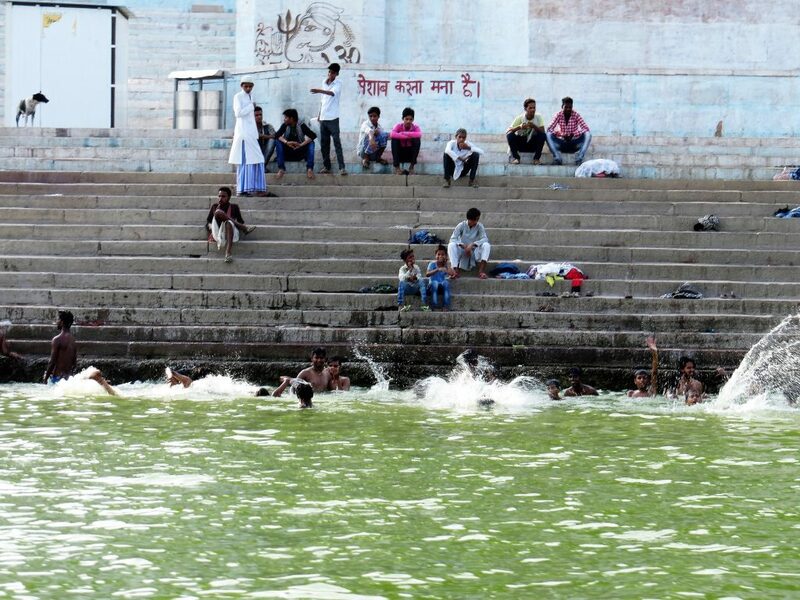 Most are used for bathing but there are also several ‘burning ghats’ where bodies are cremated in public around the clock. A stroll along the river provides the perfect introduction. It’s a world-class ‘people watching’ adventure as you mingle with the fascinating mixture of people who come to the Ganges not only for a ritual bath but also to wash clothes, do yoga, offer blessings, sell flowers, get a massage, play cricket, wash their buffaloes, improve their karma by giving to beggars or simply hang around. 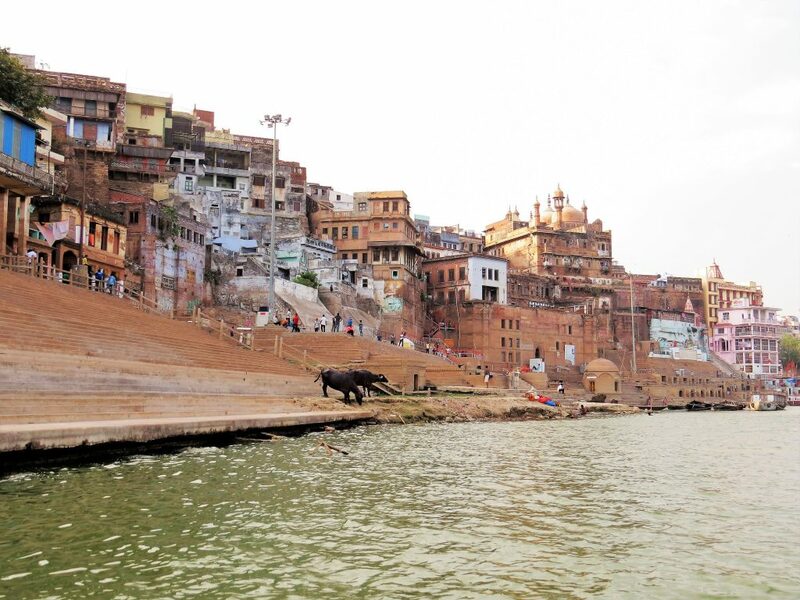 Each of the many ghats hold a different significance for Hindus. Some are exclusively for cremations, others for followers of different sects and yet others simply built as philanthropic acts by former rulers. Some are noted for their pundits, who may be consulted on any subject. A boat ride at both sunset and sunrise is a must for any visitor to Varanasi. 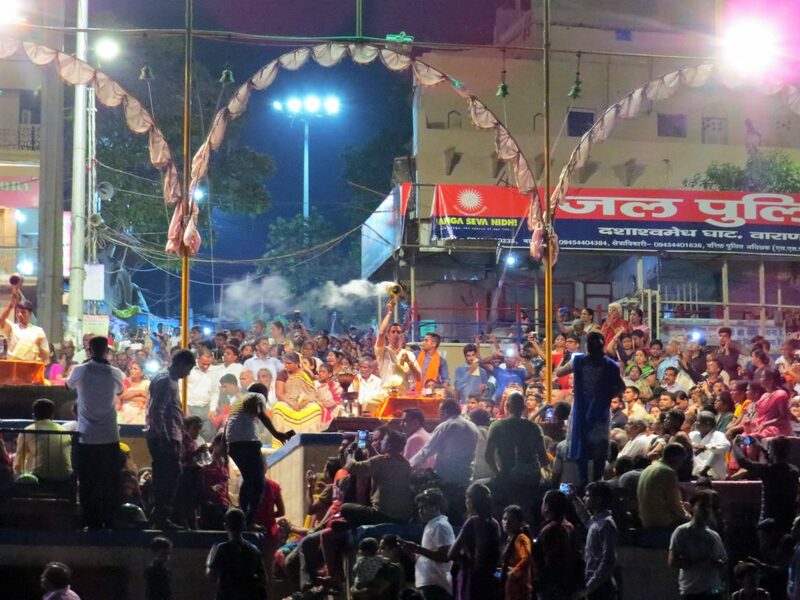 The ghats (bathing steps) come alive as hundreds of pilgrims return for evening worship. Young priests from neighbouring ashrams complete their daily rituals, looking out onto the holy Ganga, whilst chiming bells create a cacophony of sound. 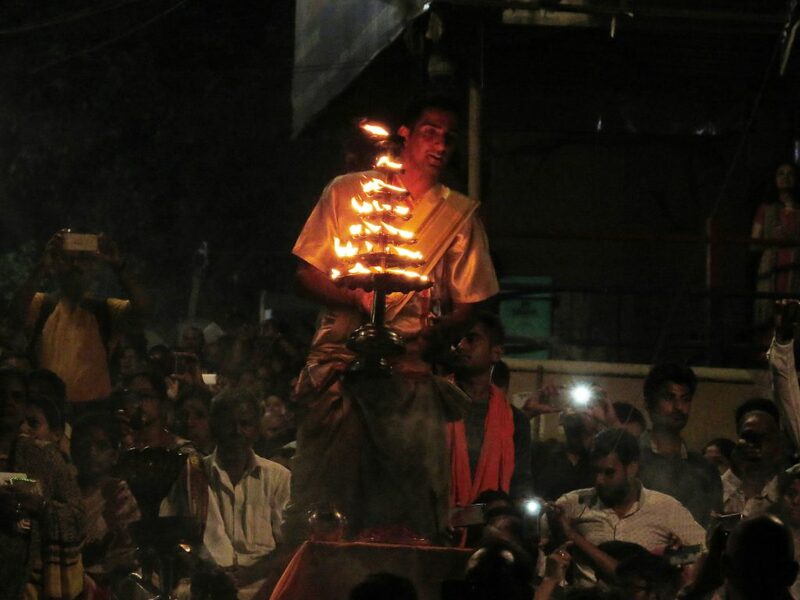 The steps fill with people singing Vedic hymns, lighting lamps, and praying along with the priests. 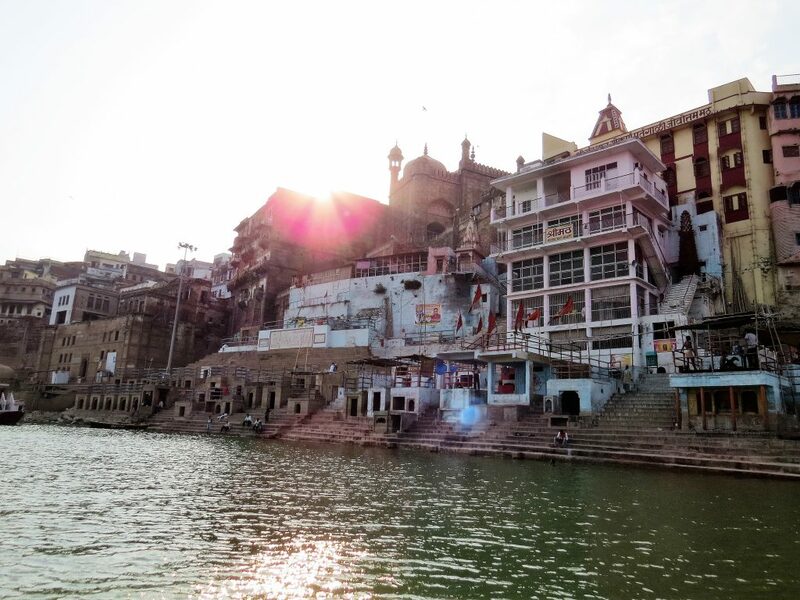 The Ganges is worshiped as a living goddess, with the power to cleanse earthly sins. This is an unforgettable and special experience, as the scent of sandalwood and incense whirls around, the sounds of prayer reciting and clashing cymbals rise to a climax. Devotees light little flicking oil lamps that are floated down the river, which looks absolutely stunning in the early evening light as the sun sets. To Buddhists, Sarnath is as sacred as Varanasi is to Hindus. This is where the historical Buddha first taught the Buddhist dharma. 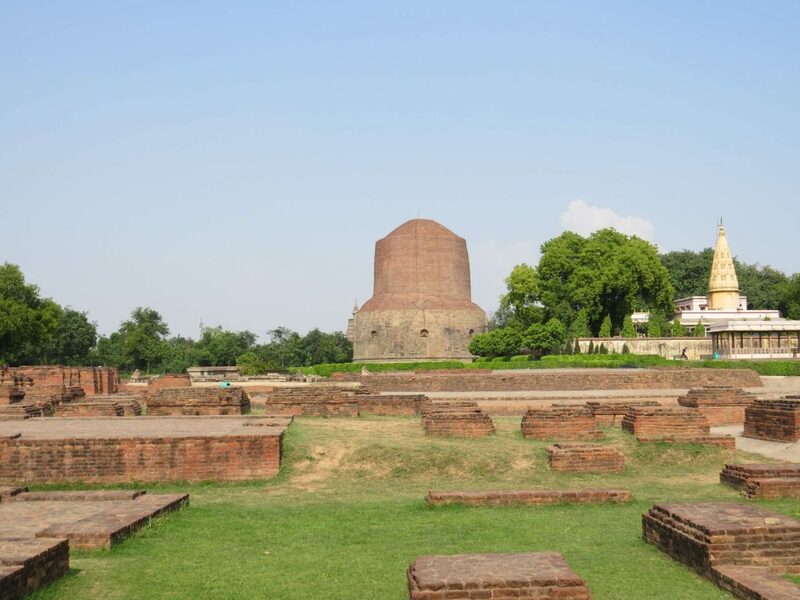 In 528 BC, about five weeks after having attained enlightenment at Bodh Gaya, he came to Sarnath and preached his first sermon (now called Dharma Chakra Pravartan, or Set in the Motion of the Wheel of Law) in what is today Sarnath’s Deer Park. 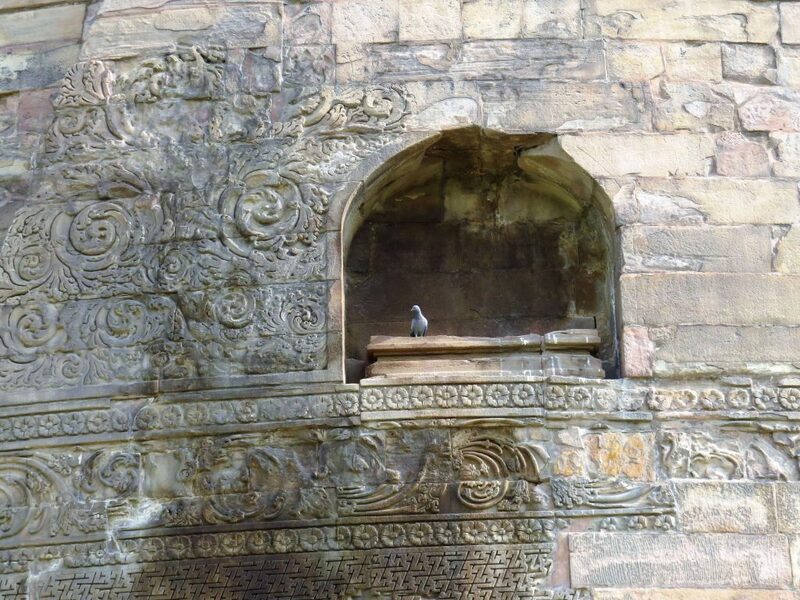 The central monument of the existing complex is the 5th century AD Dhamekh Stupa, which is built at the very site where the Buddha is believed to have delivered his sermon to five disciples. The Archeological Museum here exhibits a superb collection of Buddhist artifacts. The highlight is the Ashokan lion capital in polished sandstone – the inspiration for India’s national emblem. 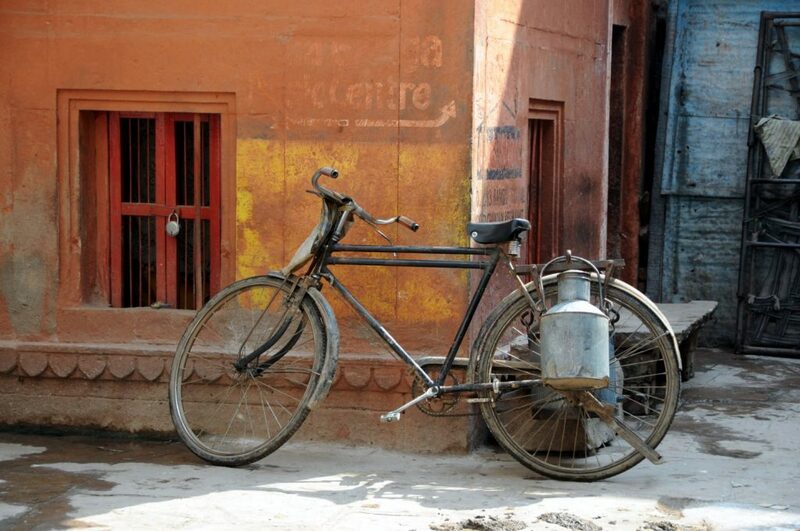 Besides being India’s oldest pilgrimage centre, Varanasi is also known for its beautiful textiles. Famous for its gossamer-fine cotton weaves for over 2000 years, its weaving traditions acquired new splendour from the 16th century onwards, with the patronage of the Mughal emperors. Varanasi’s weavers soon became adept at weaving silk with gold and silver thread, to create stunning brocades for royal costumes and court furnishings, embellished with the exquisite floral, animal and geometric motifs favoured by the Mughals. 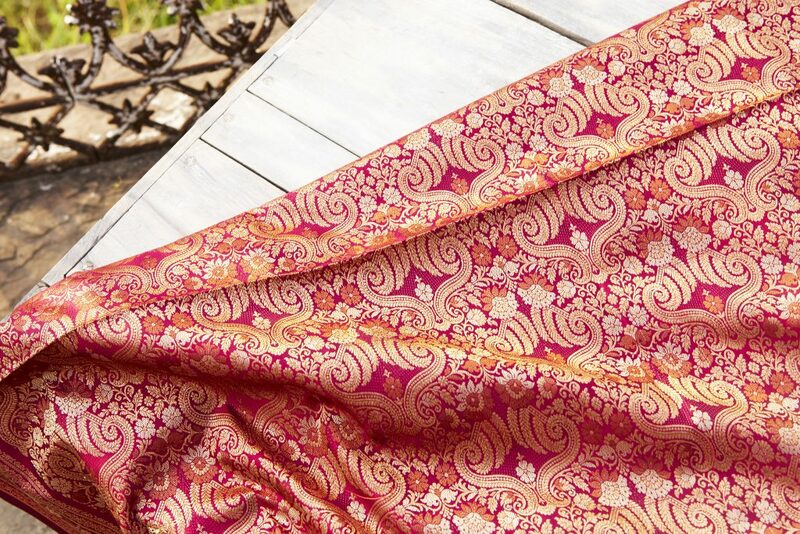 Today, a wide range of brocade saris, scarves and Tibetan-style fabrics are made and sold in the city. 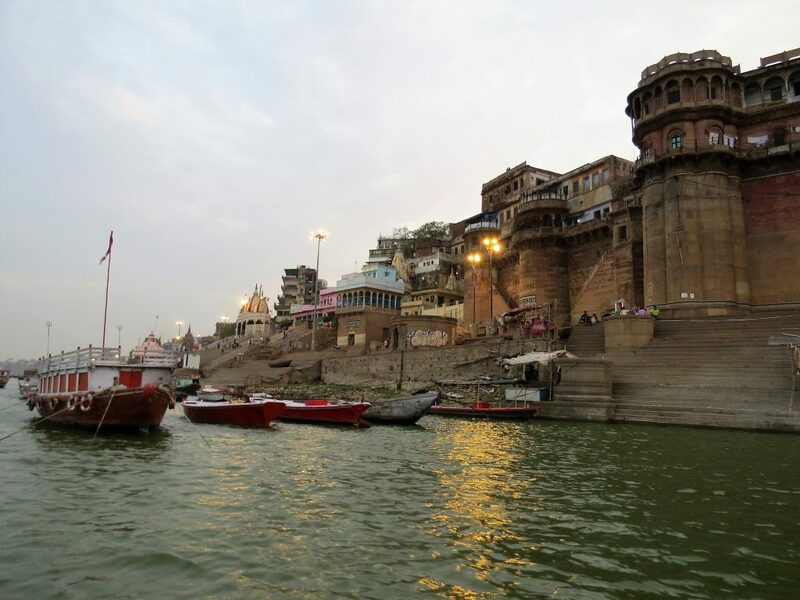 The old city of Varanasi which surrounds the ghats is a maze of streets and alleys crammed with derelict palaces, homes and hundreds of temples and shrines. Here you’ll see funeral processions, cows and goats munching on whatever they can find. 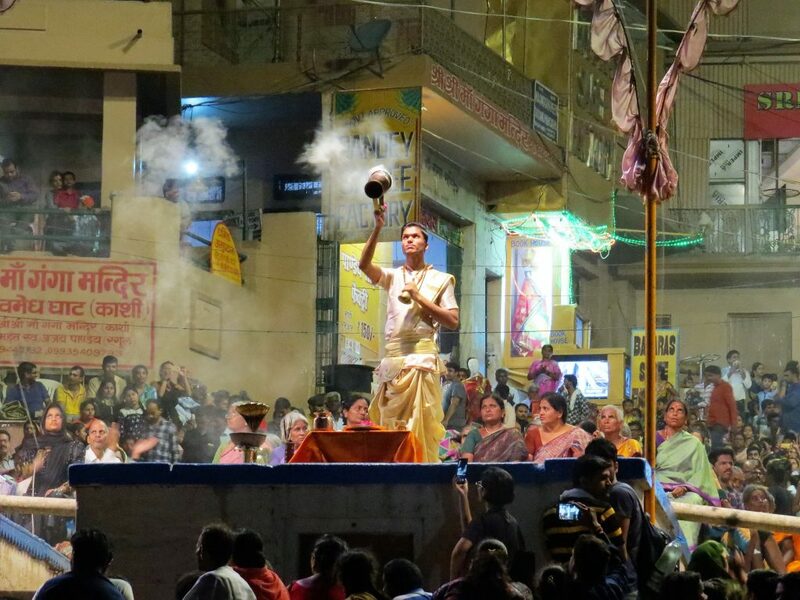 On a private guided walking tour of Varanasi’s old city with Indian Excursions, you’ll explore a winding lane known as Vishwanath Gali, which is lined with a multitude of shops selling all manner of religious objects. It leads to the city’s principal shrine, the Vishwanath Temple. Where to rest your head when in Varanasi? A peaceful oasis away from the bustle of the Ganges, Nadesar Palace has accommodated royals, statesmen and stars since 1835. The name Nadesar is derived from the Goddess Nadesari, whose shrine is located in front of the palace. 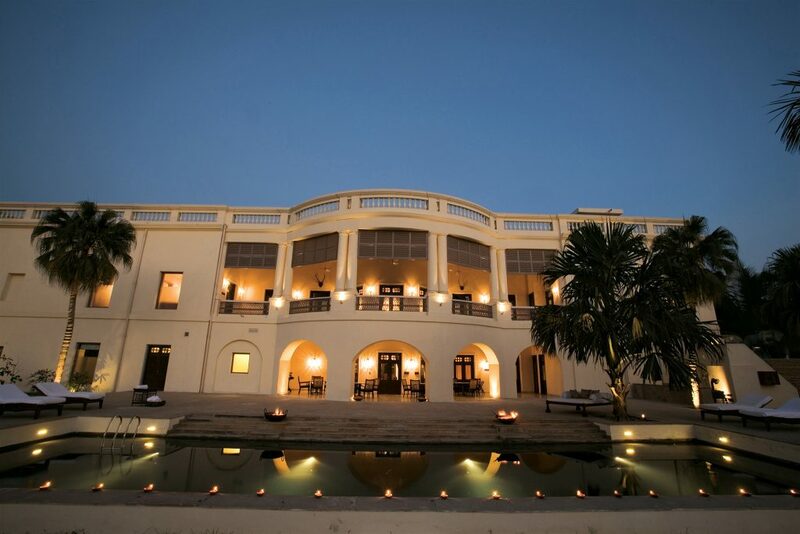 Set amongst lush greenery, mango orchards, marigold and jasmine fields, Nadesar Palace is a haven of serenity. The palace has just ten luxurious suites, each of which are decorated with works of art from the Maharaja’s collection. Each suite evokes the atmosphere of a bygone era, with original pieces of furniture and colours of marigolds, jasmines and lotuses. 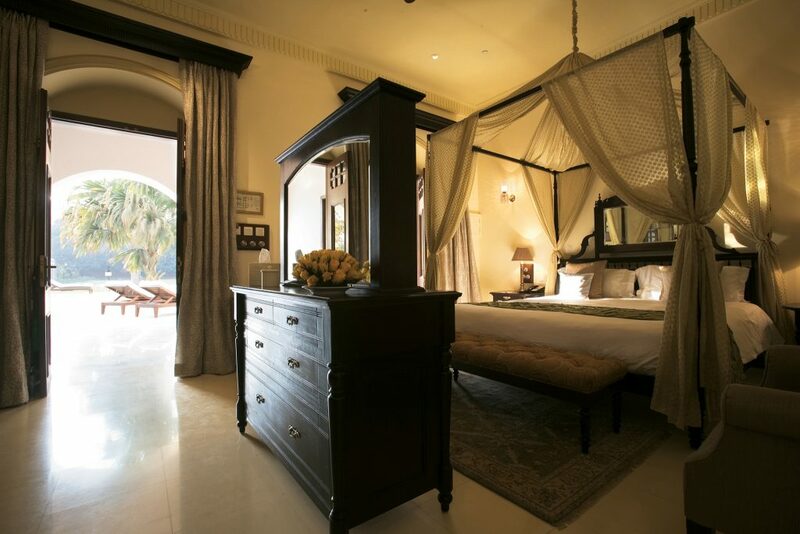 Each of the ten suites are named after the celebrities who stayed here as the Maharaja’s personal guests. 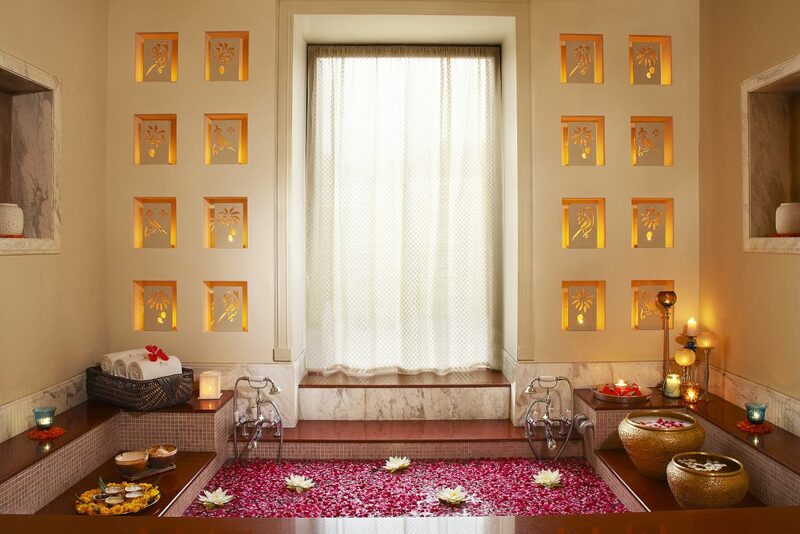 The butlers at Nadesar Palace can recommend the perfect meal, or help you choose an ideal treatment at the spa. Throughout your stay, subtly and unobtrusively, your butler will guide you through the pleasures that lie within the palace walls. Taj Nadesar Palace typically books up months in advance so we’d recommend getting an early start with your planning if you’d like to stay here. 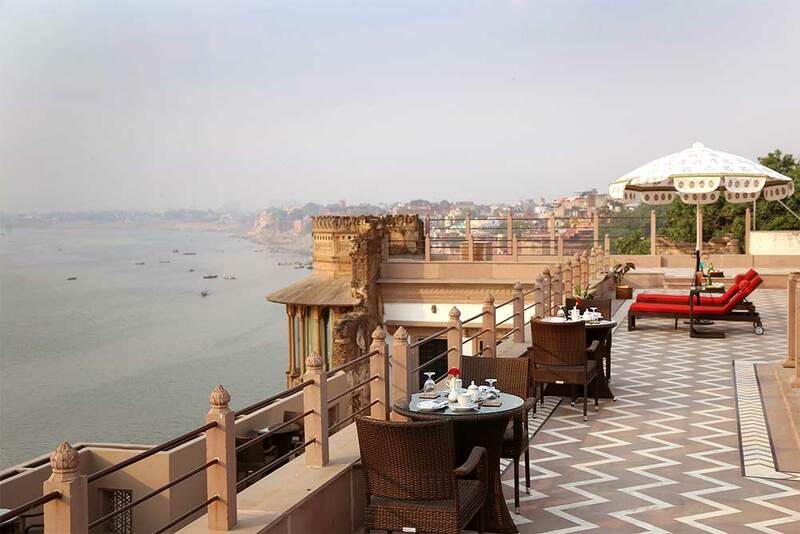 This luxury boutique hotel is nestled right on the banks of the river Ganges, just a stone’s throw away from the waters edge. 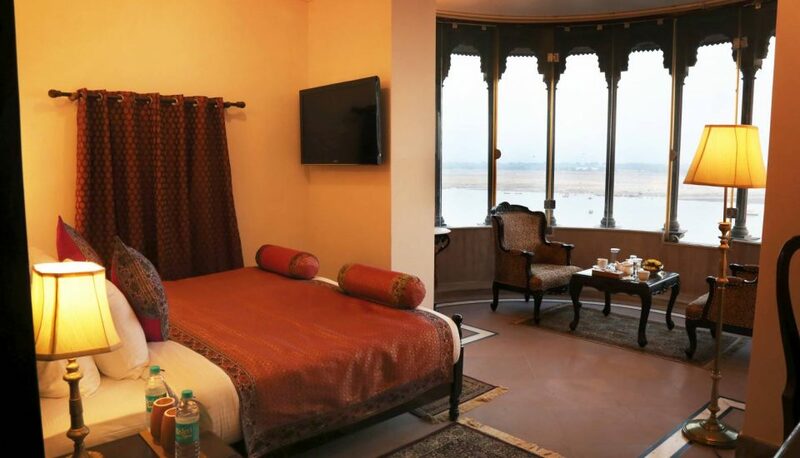 Brijrama Palace is the place to stay for those who wish to be in the heart of the action and soak up Varanasi in all its intensity. Activities along the water, including the evening aarti and morning prayers, can all be absorbed from the palace itself. The stunning rooftop restaurant offers panoramic views of the river and horizon. Guests staying at Brijrama Palace should note that no alcohol or meat is served here due to the properties location on the holy ghats. How to best fit Varanasi in your itinerary? Varanasi is a wonderful addition to a broader tour of north India, and slots in perfectly between Delhi and Agra. Direct flights are available daily from Delhi, and every Monday, Wednesday and Saturday to Agra. 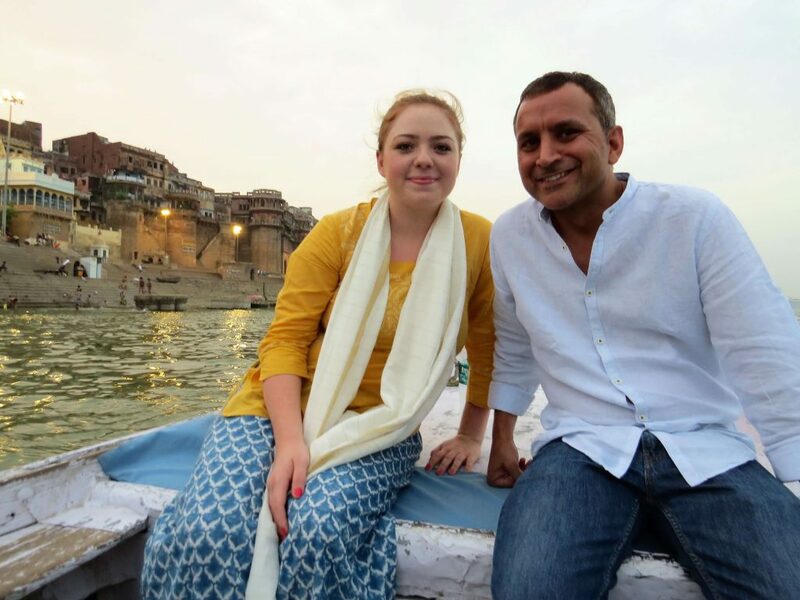 For inspiration, please do check out our suggested Rajasthan with Varanasi Tour, our Luxury Rajasthan with Varanasi and Khajuraho Tour, and our From the Ganges to the Golden Temple tour. Do remember however that all our tours are completely tailor-made, with every detail designed around you. The ones described on our website are merely a starting point to share a flavour of the possibilities. If you’re feeling inspired and ready to get started, please do get in touch with your ideas so far. Oberoi Udaivilas vs. Taj Lake Palace vs. Leela Palace: which of these luxury hotels in Udaipur is better?